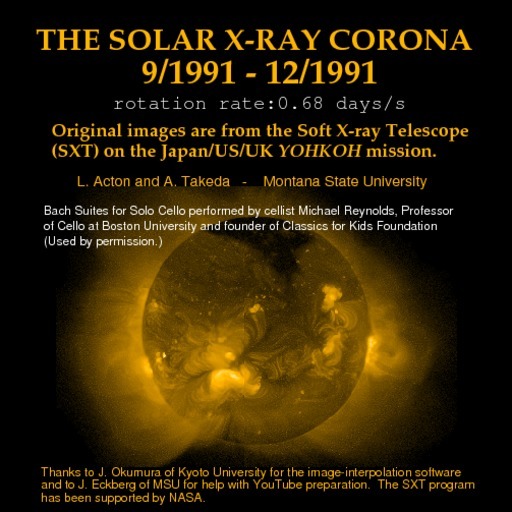 Movie of the solar corona taken at soft x-ray wavelengths. The temperature of the hot coronal gasses depicted here are generally above 2 million degrees kelvin. The movie begins in September 1991, closely following the sunspot maximum of November 1989. Solar activity was still high.